There are lots of different investment options available if you want to make your money work for you. From stocks and shares to bonds or gold, there are several different assets that people choose as investments. Property is one of the most popular choices, with over 2.5 million buy to let investors in the UK recorded in the last tax year. 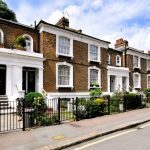 The number of landlords in the UK continues to rise, with a 5% increase on the previous year and a huge 27% increase over the past five years. But why are so many people choosing property as the best investment? Property remains one of the best-performing assets available, with a combination of rental income and capital appreciation meaning double benefits for investors. The same research showed that investors had enjoyed annual returns of almost 10% since 2000, and the number of properties owned by buy to let landlords have been increasing for the past five years. Not only does property investment offer investors the security of a brick and mortar asset that is far more tangible than other investments, but it also makes sense financially too. Many people also choose property as the best investment for them because of the potential for high returns that can be found. In certain parts of the UK, rental returns are even higher than that. A recent study into the best locations for buy to let rental yields showed that the L7 area of Liverpool had rental yields of a huge 11.79% and the L6 postcode had rental yields of 11.59%. Postcodes in Manchester, Edinburgh and Middlesbrough also had rental yields above 10%. With the UK average buy to let yield sitting at under 4%, it shows how important finding the right location for rental yields is. 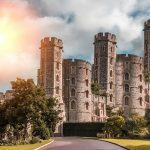 Incredibly high returns in parts of the UK are one of the reasons why property investment remains popular, and certain companies offer assured rental yields for a certain period too. RW Invest is a Liverpool based property investment company who specialise in buy to let properties with high yields, and many of their properties offer significant rental yields for an assured period. READ What does sentiment analysis do? Another reason that buy to let property is the best type of investment is the possibility for capital appreciation or growth in the property’s value over time. 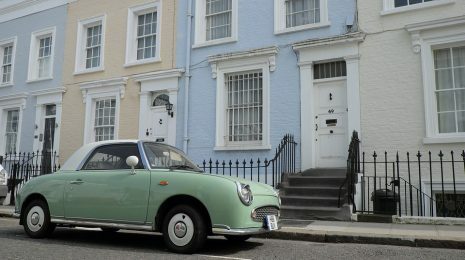 UK house price growth is slow and steady at the moment, so rental yields are playing a bigger part in the effectiveness of a property investment. Several factors can contribute to capital appreciation, such as regeneration projects, investment in the local area and a growing population. However, real growth in value comes over longer periods, which is why it is worth purchasing property as a long-term investment. Due to inflation, many people find that their savings are worth less over time, and the money they worked so hard for won’t buy as much as it once did. Therefore, property investment truly stands out as an excellent investment with multiple benefits.